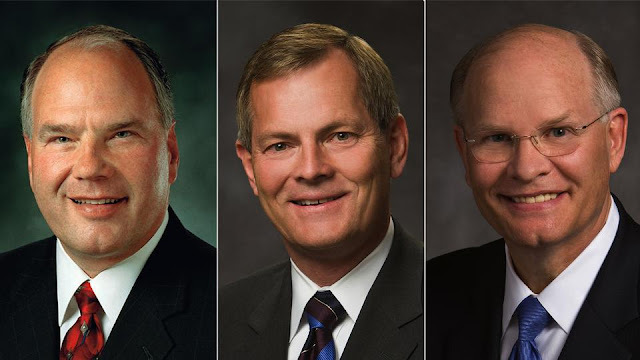 UPDATE: Check out my most up-to-date General Conference posts HERE. I'm planning on doing a General Conference theme singing time the week AFTER General Conference (see my lesson plans all HERE). I called my local Distribution Center to see if they have the new 3 apostles pictures' and they are all out of stock. So I checked online and they are on backorder there as well - ugh! But it did let me place an order so it will ship out as soon as they become available. Shipping was $3.00 but it will save me the hassle of constantly calling the Distribution Center! UPDATE: They've shipped out so I'll have them in time for General Conference Sunday and singing time the week after! So, if you want to incorporate a General Conference themed singing time into your upcoming lesson plans, I'd suggest getting on the online "waitlist" too! Find the link HERE. Fingers crossed they arrive in time! If not, I may just print my own. We'll see. My own kids LOVE to pull out all the pictures during General Conference and match the pictures up to the speaker so mine are always well used either way. I'll also be updating the General Conference Singo card too so stay tuned!